^ a b c d e Nauert, Charles. 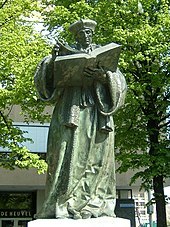 "Desiderius Erasmus". 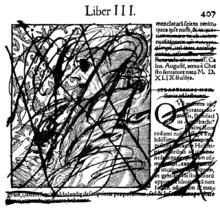 Winter 2009 Edition. 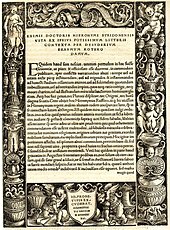 Stanford Encyclopedia of Philosophy. Retrieved 2012-02-10. 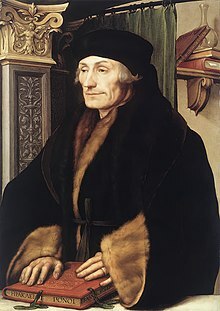 Erasmus was a native of the Netherlands, born at Rotterdam in the county of Holland on 27 October of some year in the late 1460s; 1466 now seems to be the year that most biographers prefer. 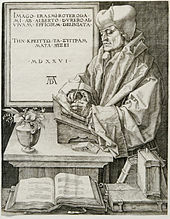 Erasmus' own statements on the year of his birth are contradictory, perhaps because he did not know for certain but probably because later in life he wanted to emphasize the excessively early age at which his guardians pushed him and his elder brother Peter to enter monastic life, in order to support his efforts to be released from his monastic vows. ^ Smith, Preserved (1928). 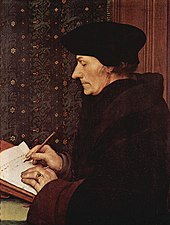 "Erasmus: A Study Of His Life Ideals And Place In History". Harper & Brothers. pp. 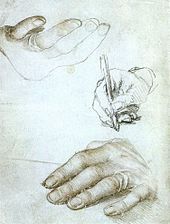 445–46. Retrieved 2012-02-10. Emerton, Ephraim (1899). 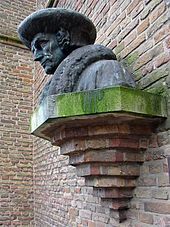 Desiderius Erasmus of Rotterdam. New York: G.P. Putnam's Sons. 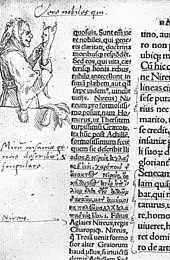 OCLC 312661. Retrieved 2011-04-18. This page was last edited on 2 March 2019, at 16:26 (UTC).